The Vancouver Giants and White Spot have partnered to bring you the Vancouver Giant, White Spot Family Pak. The White Spot Family Pak makes a hockey night out with your family fun, affordable, and complete with everything that you need. If your family is larger than 2 adults and 2 children, no worries because the Giants and White Spot have options for you to grow your White Spot Family Pak to match the size of your family. You can add a red category ticket + Burger Platter for only $25 each, and/or add a ticket + Pirate Pak for only $22 each! GST included in both prices. You can add a gold category ticket + Burger Platter for only $30 each, and/or add a gold category ticket + Pirate Pak for only $27 each! GST included in both prices. 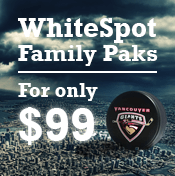 The Vancouver Giants White Spot Family Pak makes a perfect gift for the hockey fan in your household this season. 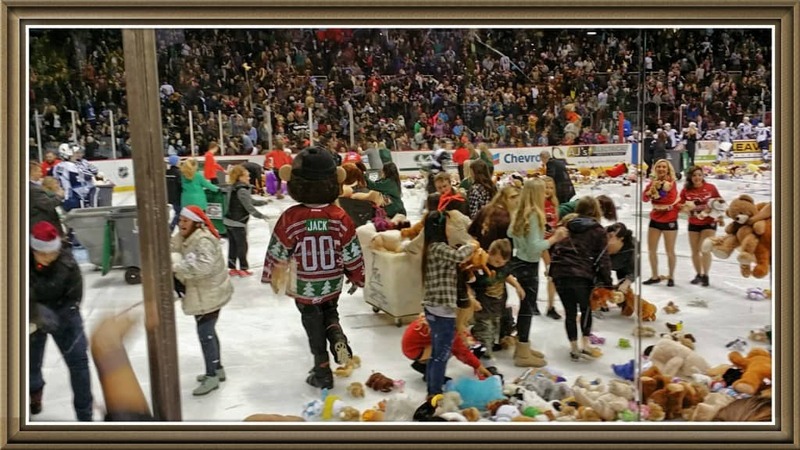 The Vancouver Giants make many game nights extra exciting with wonderful events such as the Teddy Bear Toss Night and I am excited to announce an awesome giveaway for a White Spot Family Pak for the December 18th, 2015 Vancouver Giants Teddy Bear toss game night. This giveaway is open to residents of the Fraser Valley and Lower Mainland of Vancouver, BC Canada who are over the age of 18 and where permitted by local laws to enter and win giveaways. Please note, that the winner will receive the White Spot Family Pak as described above for a family of four and the prize does not include transportation. The prize is non-transferable and cannot be replaced if lost or stolen. Please ensure that you read the full terms and conditions found at the bottom of the entry form. One of the players is Haydn Hopkins.